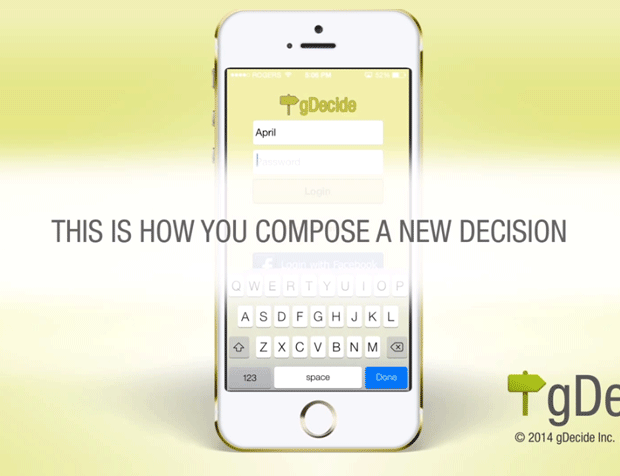 A mobile software demonstration video for gDecide, the social decision making site. This video was created to demonstrate the ease of use of their new iOS application. It aims to get new users up and running with the basic functionality of the application.